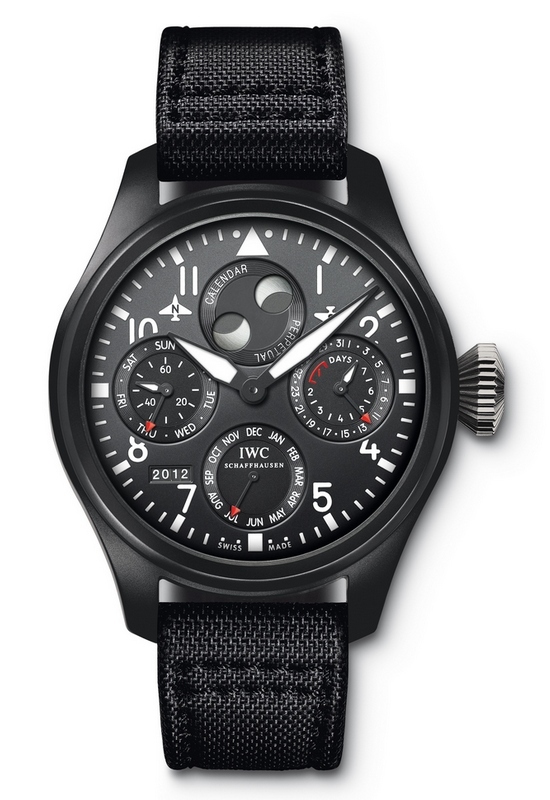 IWC dubbed 2012 as the Year of the High Flyers presenting five pilot watches at SIHH in a high-impact booth (see the video at the end of the article). The Big Pilot’s Watch Perpetual Calendar TOP GUN includes a perpetual calendar with the IWC typical four-digit year display, a moon phase display and a seven days power reserve indicator possible thanks to the high-performance Pellaton automatic winding system. The ultra-masculine case is in high-tech ceramic while the black soft strap has a folding clasp in steel. 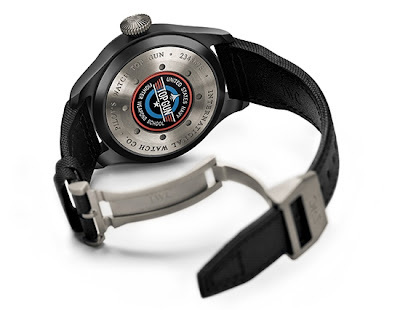 Functions: hour, minute, seconds, perpetual calendar, double moon phase (for the two hemispheres), power reserve. Size: 48 mm. Thickness: 16 mm.